The rumour mill begins to churn as neighbours begin speculating about the Balloon Boy. 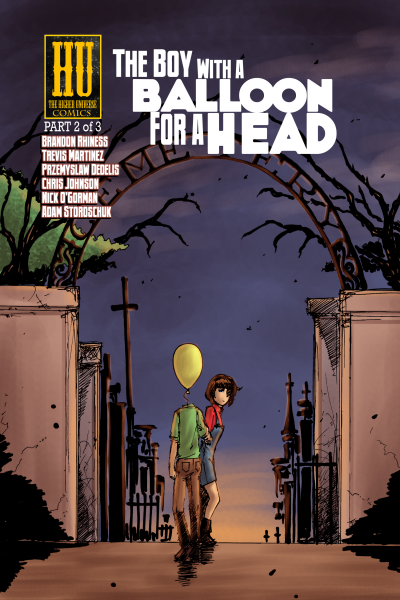 The only ray of sunshine in the Balloon Boy’s bleak existence is his friendship with the neighbour girl, Tasha. 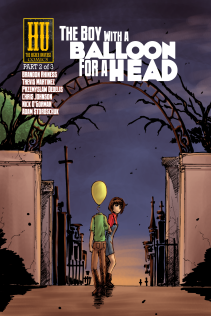 Submit your reviews of The Boy with a Balloon for a Head #2 to fanreviews@thehigheruniverse.com.